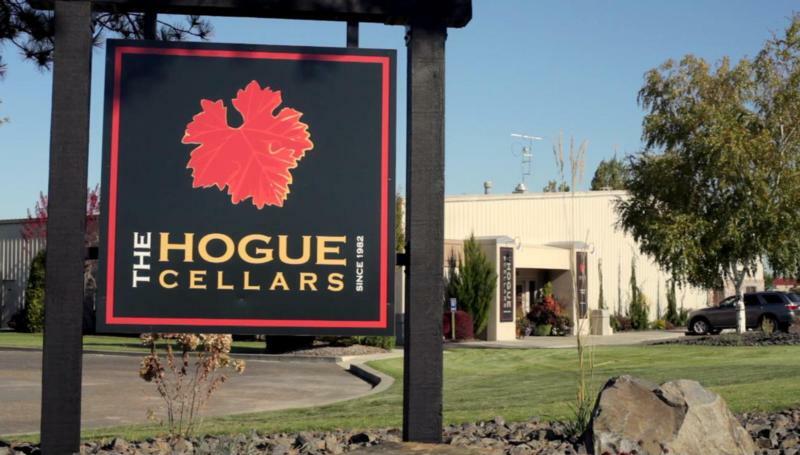 THE HOGUE CELLARS™, founded in 1982 by Mike and Gary Hogue, is located in Eastern Washington's Columbia Valley, the premiere grape growing region of the state. The climate and soils of the Columbia Valley produce grapes with intense fruit flavors and high natural acidity. The wines have a liveliness and ripe, zesty fruit flavors that make them ideal complements to a wide range of food. Back in 1982, when brothers, Gary and Mike Hogue, started Hogue Cellars in Washington's Yakima Valley, it was the state's 19th bonded winery. Today Washington is home to over 650 wineries and produces a collective 20 million gallons of wine per year. As time would tell, the Hogue Cellar's adventure, that began over 25 years ago, exploded into one of Washington's most influential and quality-driven. Gary Hogue contends that the number one reason that Hogue Cellars really took off after their third year in business, with a production of 20,000 cases, was the innate quality of Washington's fruit. When you marry high quality grapes with fair pricing it is a recipe for success and extremely attractive to the consumer. What keeps the fruit quality at such high levels? For one thing, Washington does not waste vineyard space on inexpensive blending grapes to keep pricing down and ultimately dilute the wine's quality. Hogue Cellar's winemaking philosophy from the start was summed up by Gary Hogue, "Surround yourself with people who know what they are doing, and then do it." Sounds simple enough and it's obvious that adherence to this philosophy has paid off with Hogue Cellars now producing 650,000 cases per year and claiming almost 8% of Washington's wine market volume. Wine Spectator 87"Firm in texture, but open in style, with ripe currant and smoke flavors, lingering well. Drink now through 2012. 24,020 cases made. "